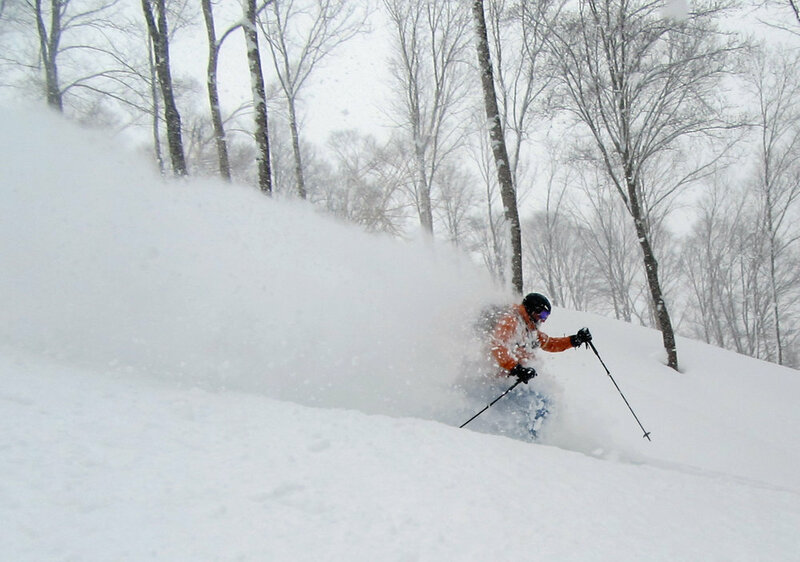 The slogan of Madarao Ski Resort in Nagano Japan is Mad-a-pow, a term that the Powderhounds coined back in 2014 when we first caught a bad case of Mad Pow disease atMadarao Kogen. 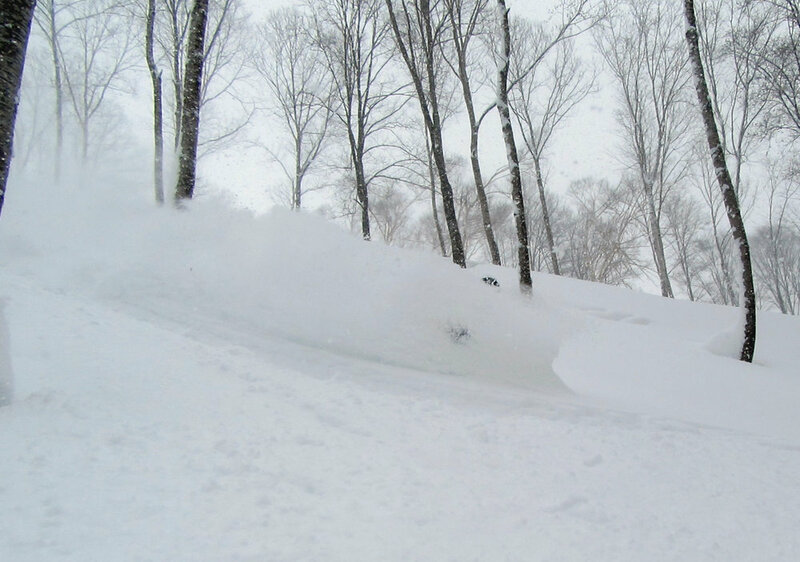 Obviously, we were keen to get back there to go crazy in the powder. 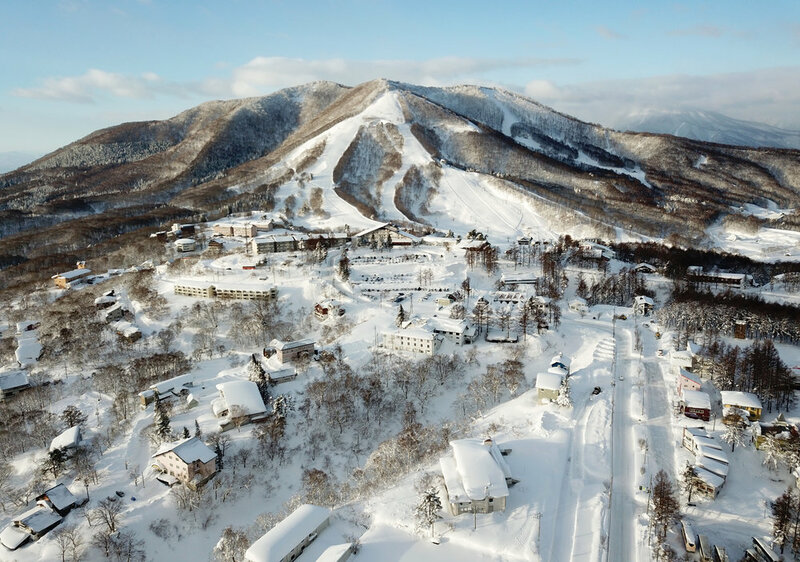 As we arrived at the Madarao Kogen Hotel on Boxing Day to meet the famous Toru, it had just started snowing steadily, and a couple of hours later when we walked down the road to Aki’s Café the snow was shin deep. After dinner it was knee deep! The snow kept dumping all night, and after breakfast we skied down to the ski area to find out that it had snowed 1 metre overnight. Whoah!! 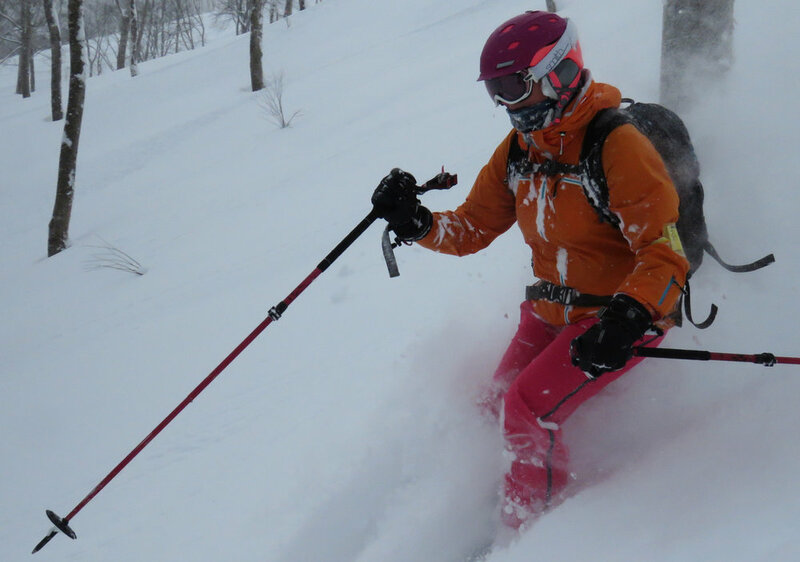 The powder was soooo deep on that first day at Madarao that it was initially difficult to find slopes that were steep enough to maintain momentum, and if we stopped to take photos or video, the ski poles almost disappeared under the snow and it took a bit of work to get going again. But it was oh sooo worth the effort, because the face shots just kept coming thick and fast. The snow was flying everywhere so it was definitely the ideal day to have the bib and brace pants on and the pit zips up. 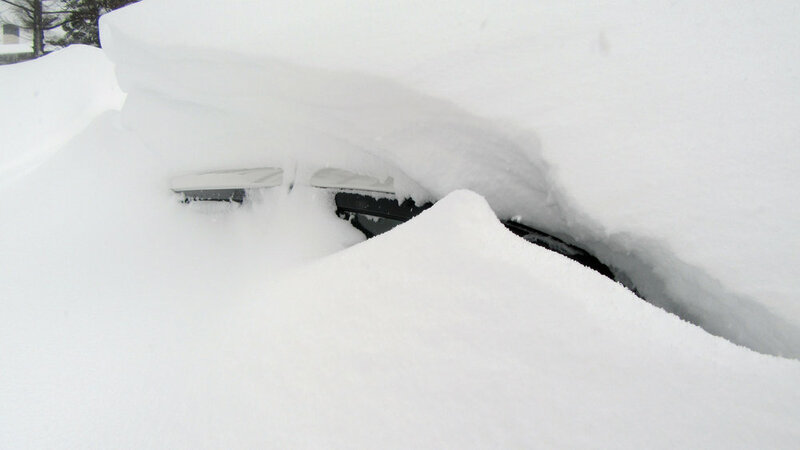 Meanwhile, the poor GroPro could barely take much footage because it was constantly caked in snow. 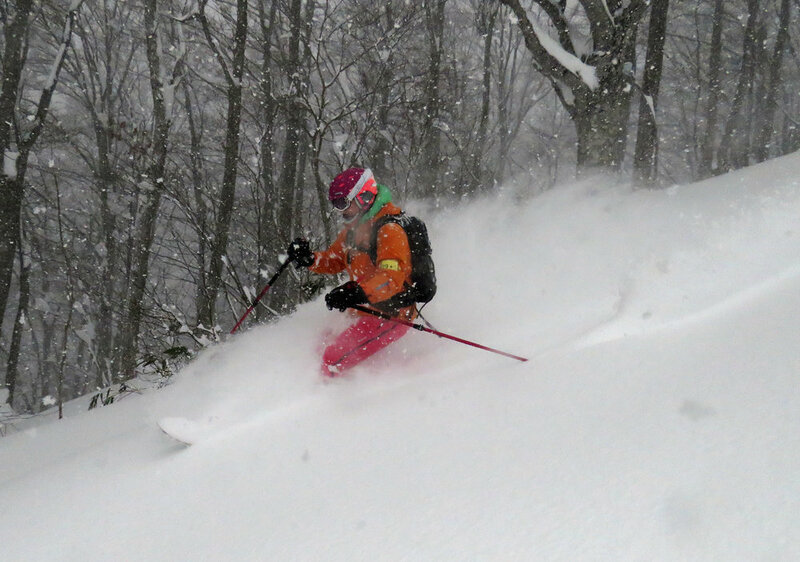 This was storm skiing at its best because barely anyone else was hitting the trees - not many others were "silly enough to head out when it was snowing so hard!" 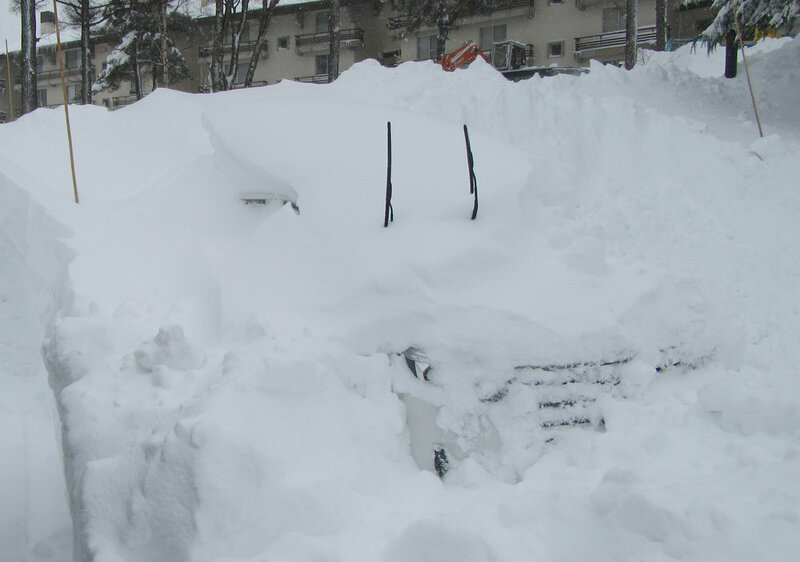 The next morning we awoke to find out that it had snowed another 50-60cm overnight. Ridiculous! 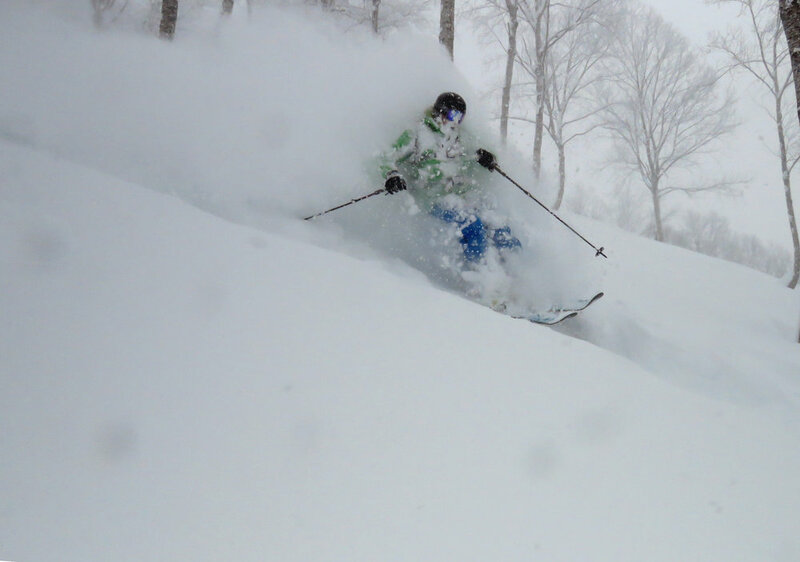 This was probably our favourite day at Madarao because the super deep powder had consolidated enough to make it easier to gain some speed. 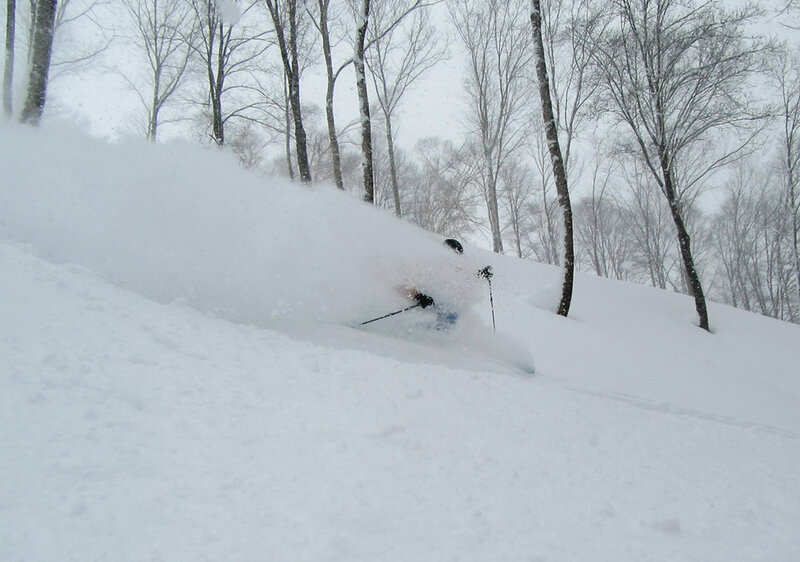 It was the 28th of December and supposedly the absolute peak of the season, yet still barely anyone was out skiing the powder. Where was everyone? Oh well, their loss and our gain! It was like the best heliskiing ever, for just the cost of a lift ticket. For the third day, it had only snowed a lazy 20-30cm overnight, and the sun was starting to peek through. A few more people had finally decided to venture out, so we spent most of our time at the inter-connected ski resort of Tangram. 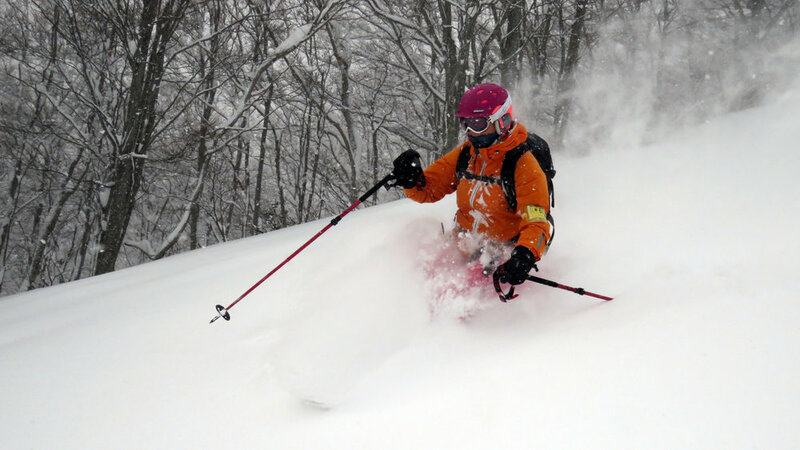 Thankfully it wasn’t difficult to findfresh powder in the trees and we even scored first tracks down an open piste, which was magical bliss! 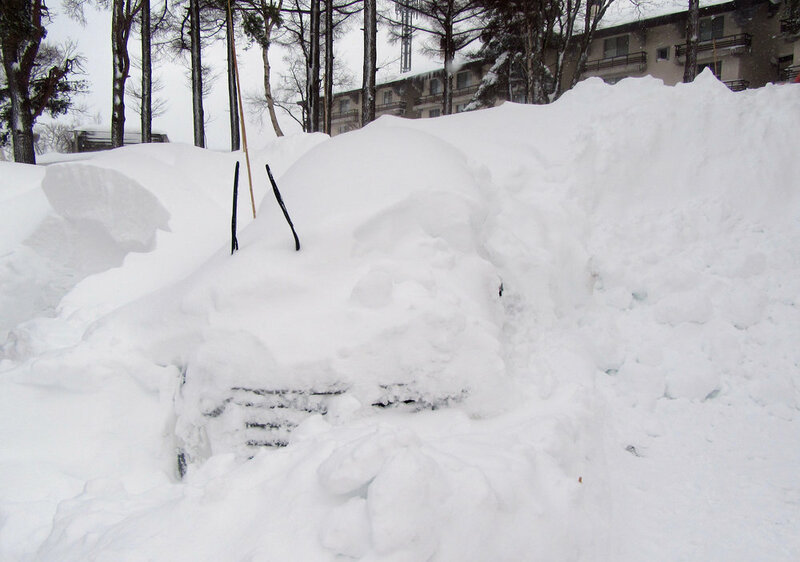 We were pleasantly shattered at the end of yet another powder day, and it was time to deal with the van, which was completely buried in snow. 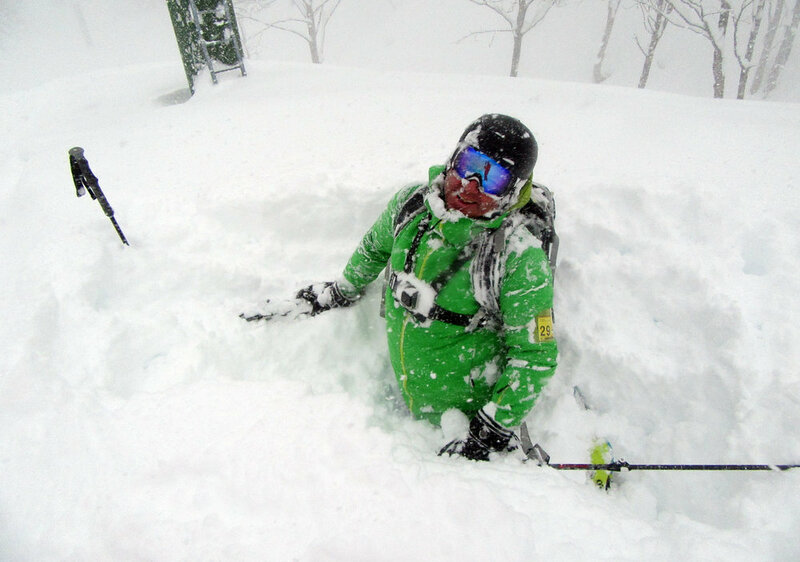 Obviously it took a while to dig out the van, but it was a small price to pay for skiing at Madarao during a big snow storm and scoring the famous Mada-pow!